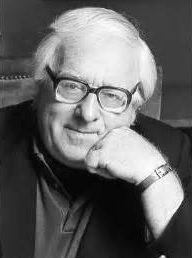 Ray Bradbury wasn’t always Ray Bradbury—not the Ray Bradbury we know and love who blessed us with Fahrenheit 451, The Martian Chronicles, Something Wicked This Way Comes, and Death Is a Lonely Business, just to name a few. Once upon a time, Bradbury was just a struggling young writer in love with the craft. He wrote a short story every week, polished it as fast as he could, and submitted it to a magazine. Rejection letters flooded in, mainly due to his prolific submissions: the more you write, the more responses you get. There were also acceptance letters along the way, and they inspired him to keep doing what he loved: telling stories as only he could. In the fall of 2009, I was fortunate enough to see Mr. Bradbury speak at a local library. Witnessing this great literary figure in the flesh was a surreal experience. I had to keep reminding myself that this was really happening, that I was really there.